On Saturday, the 3rd annual Veuve Clicquot Polo Classic was held at the Will Rogers State Historic Park in Pacific Palisades. Billed as ‘the most highly anticipated and stylish daytime event in Los Angeles’, the event drew a long list of celebrities and their families. Alessandra Ambrosio was gorgeous in a long flowing striped dress, as she walked the red carpet with her partner Jamie Mazur and their children Anja and baby Noah. 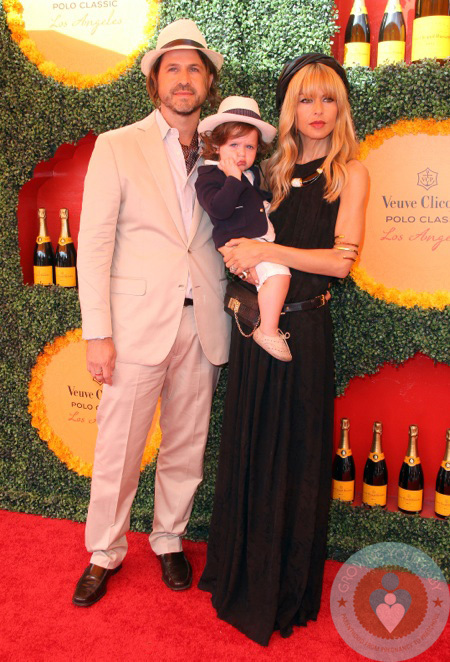 Stylist Rachel Zoe wore a black Maxi dress, while carrying her son Skylar, who was dressed in a white jumper and navy blazer and a fedora. Selma Blair arrived at the event with her son Arthur and ex-boyfriend Jason Bleick. Rebecca Romijn and Jerry O’Connell were joined by their (shy)girls Charlie and Dolly!